Back in 2005, when my friends started really getting into video games, you could always find me with a book or a manga in my hands. At the time we were an Xbox household, seeing as my younger brother and dad dominated the living room with Halo every night. Since the only video game that interested me at the time was Soul Calibur, it was no surprise that I hadn’t played, or even heard of, Kingdom Hearts. That is, until my friends began to rave about how amazing it was, and how the second game in the series was coming out soon. They all kept insisting I buy a Playstation 2 (PS2) and play it. As I was only 15 at the time and dropping money on a new game console was not something I was able to do, nor something my parents were willing to do at the time, it was a while before I could play the game. So I did the only thing that seemed logical: I bought a used copy of the original Kingdom Hearts game first. 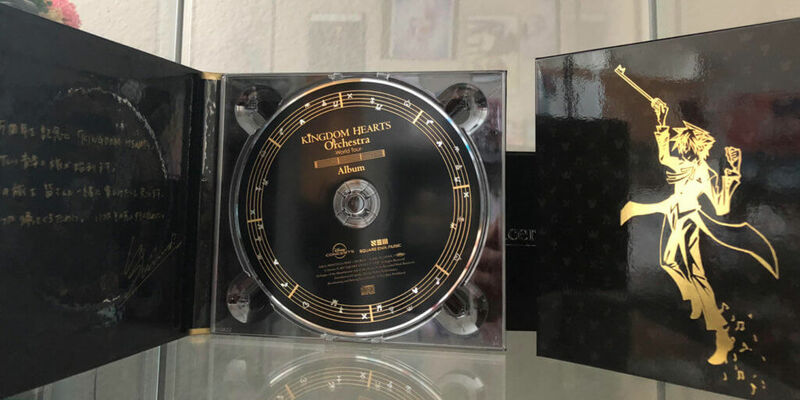 This copy didn’t even have the cover art to the case anymore; it was simply a white piece of paper with the words Kingdom Hearts PS2 scrawled on it messily in sharpie. But my reasoning was, if I had the game already in hand, it would be extra incentive to finally save the money needed to purchase the game console it belonged to. Thankfully, after about 2 months of saving, my father took pity on me and split the difference of a used PS2 system, and I was finally able to play. My brother and I would take turns, switching off whenever the other person died in their playthrough. Since we were horribly under level for everything we did, we died quite often. I remember finally telling my friends that we had beaten the game, but that I had died so often that it was frustrating. Regardless, ever since then Sora, Donald, and Goofy’s story has been my favorite to play. I became an avid fan, and when I’m upset, frustrated, or in need of a game that will make me smile, I pop in Kingdom Hearts and begin to play. 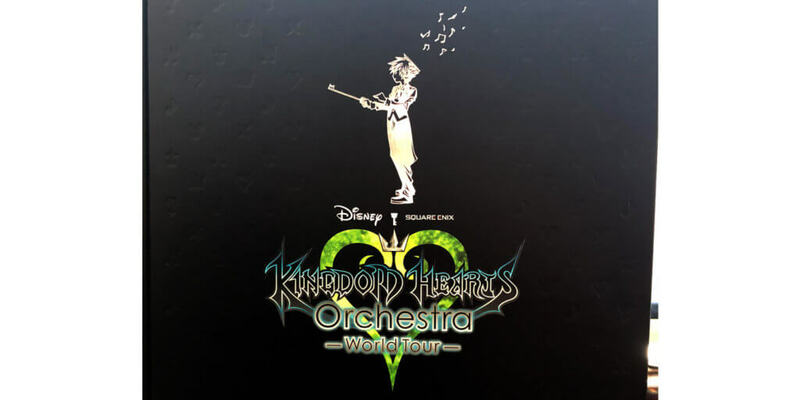 So you can imagine my excitement when I found out that the Kingdom Hearts Orchestra -World Tour- was going to be in the Dallas area in July. At first I thought there was no way I would be able to afford tickets, and seeing that I found out about the concert so late, there wouldn’t be any seats left. Much to my surprise there were, albeit all the way in the very back of the concert hall. So I took them, because when you are going to a concert it doesn’t matter where you sit, as long as you can hear the magnificent players. 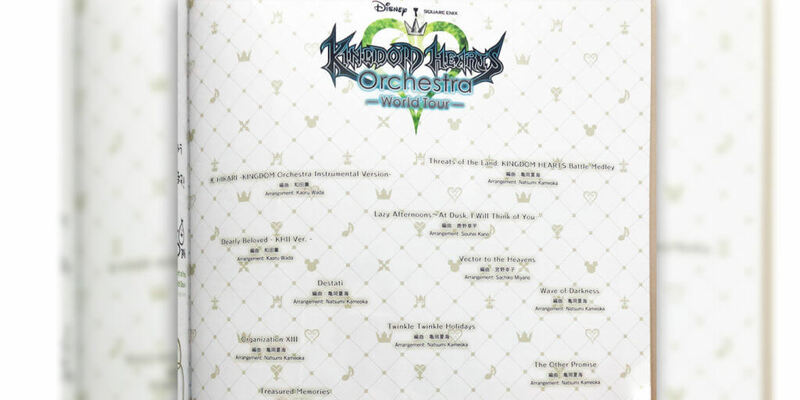 The Kingdom Hearts Orchestra -World Tour- took off in March 2017 and performed in Europe, Asia, and America for a total of 18 performances. Starting their second World Tour in June 2018 in Los Angeles, they plan to travel through the rest of the U.S., Europe, Asia, Oceania, and Latin America. After Dallas, the tour traveled more of the U.S., before heading to Brazil, Germany, Italy, South Korea, and Mexico. Overall, the venue where the orchestra was held was not what I was expecting. The seats were very close together and the steps were fairly hard to maneuver, especially in heels. The songs in the program were beautifully listed out; however, they were not listed in any particular order, so it was difficult to know which song would come next as the night went on. Speaking of the program, it was a wonderful piece of art in itself, both in Japanese and English. 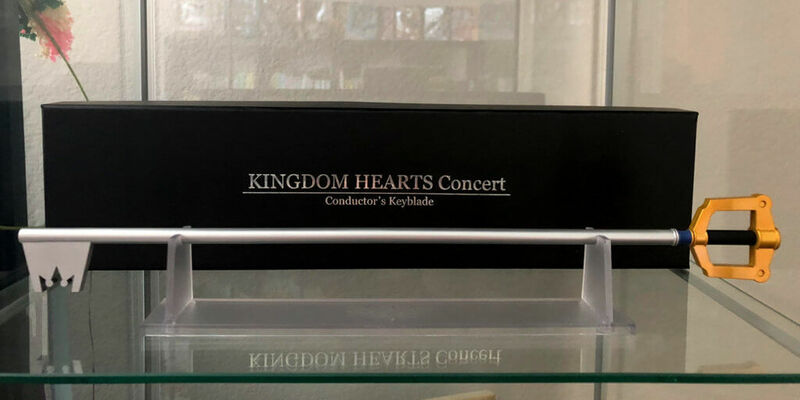 Printed in black hardback, with each page glossed and in full color, it was well worth the money I paid for it, along with the cd of the world tour and the Conductors Keyblade, which I have proudly on display. The merchandise booth at the tour easily sold out of many of their products, such as the limited edition t-shirt. The orchestra even offered to ship items home to people if they bought them on the online store, which I thought was a very nice gesture for people that may have flown out to come see the performance. While in line to get into the venue, I heard someone say that they had driven over 5 hours to be there that day. Another couple, dressed as Sora and Kairi, said that they were from up east, near the border of Canada, and that they had used up most of their time off to be a part of the event. They and many other people were in cosplay, from Sora, to Riku, and even a few Organization XIII characters. It was a sight to behold. The musicians in the tour were brilliant, and you almost forgot that you were there to witness their playing while watching the screens. The only thing about the whole event that I didn’t appreciate was after the intermission. As the orchestra came back out on stage and the applause died down, it happened. Someone decided to do the “last clap,” which is where someone must be the last person to clap. It echoed around the room, with more people participating in it than really necessary. It was embarrassing, and after about 5 “last claps” it stopped and the conductor could begin. However, after the first song finished and the audience applauded, it happened again. The “last clap” occurred after 3 songs in a row, and sadly that has more to do with the audience than anything with the venue or musicians. The last song performed was “Passion,” and I was sad to know that the evening was coming to an end. As the music died down, the conductor motioned for the pianist to stand and take a bow, before leaving the stage. We as an audience sat patiently. Surely this couldn’t be the end? The orchestra still sat in their chairs waiting. We applauded again, and as the sound shook the floor, the conductor finally came back out for an encore, holding the keyblade conductor wand. As a special treat, we were treated to clips from the Kingdom Hearts III game, planned for release in January 2019. Scenes from the Toy Story world played on screen as the orchestra performed “You’ve Got a Friend in Me,” which brought on laughs and cheers. As the evening ended and we were ushered out of the venue, I couldn’t help but think back to when I first started playing the games; how I would wait for my brother and just sit and listen to the load screen’s music. I knew if I sat long enough the opening video would play, with the melody swelling to fill the living room until my mother shouted at me to turn it down. Even back then I loved the sound of the Kingdom Hearts music. I would hum “Simple and Clean” in class, and drive my brother nuts as I tried to sing it with my awful 2nd soprano voice. That night in July, my childhood played out before me, and I had the chance to be a part of it. It was magical, and a true testament to the hard work that the creators have poured into the game over the last 15 years.